Presented in a cardboard box this colouring set includes 6 different pencils. 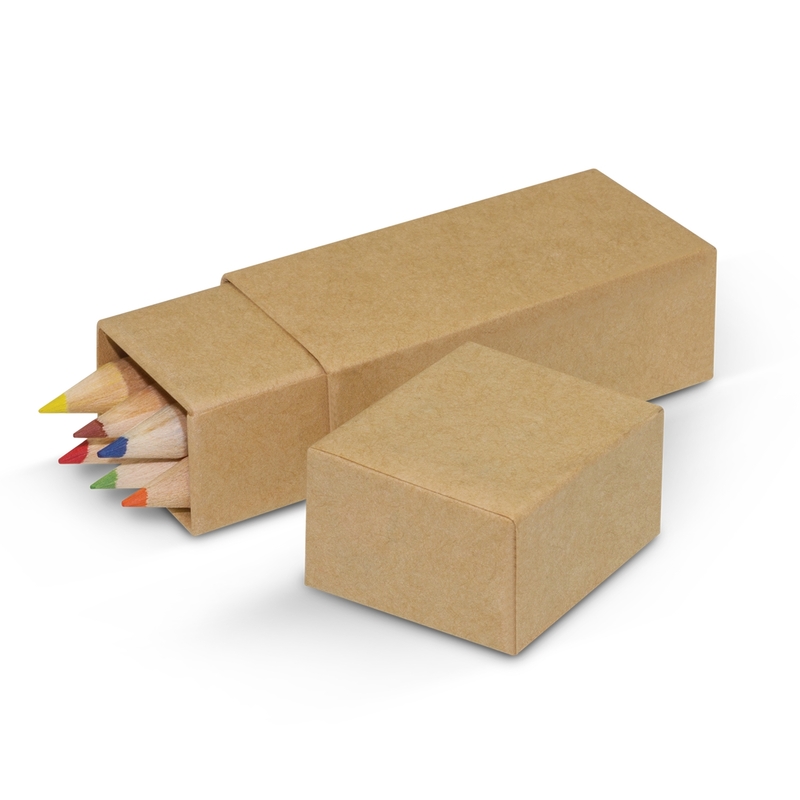 The natural colour of the box looks great and provides an excellent surface for printed branding. 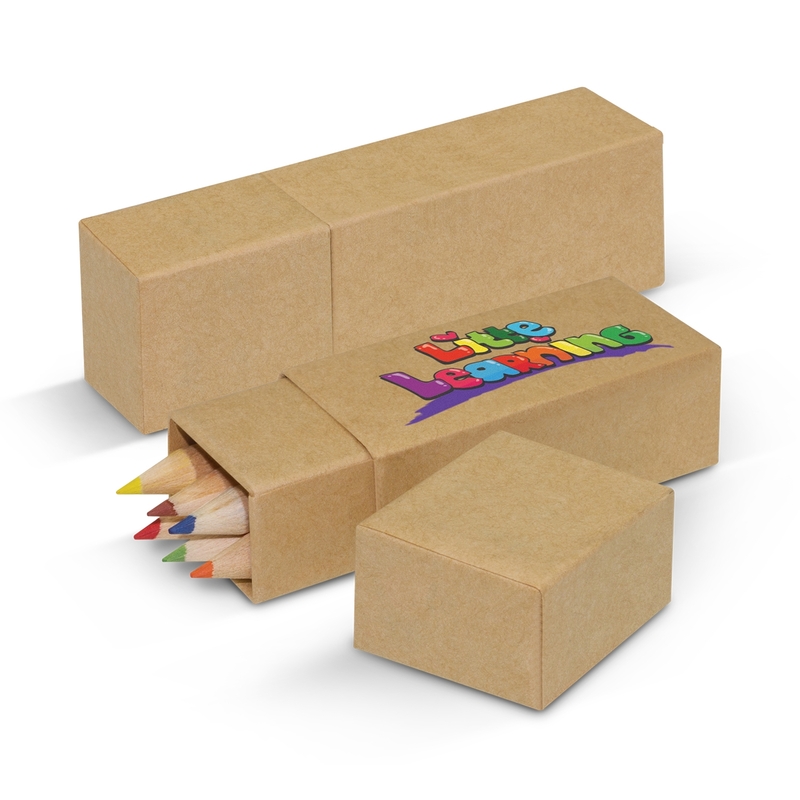 These are a great product that will allow both kids and adults to enjoy colouring. A budget friendly giveaway item that's fun for kids.